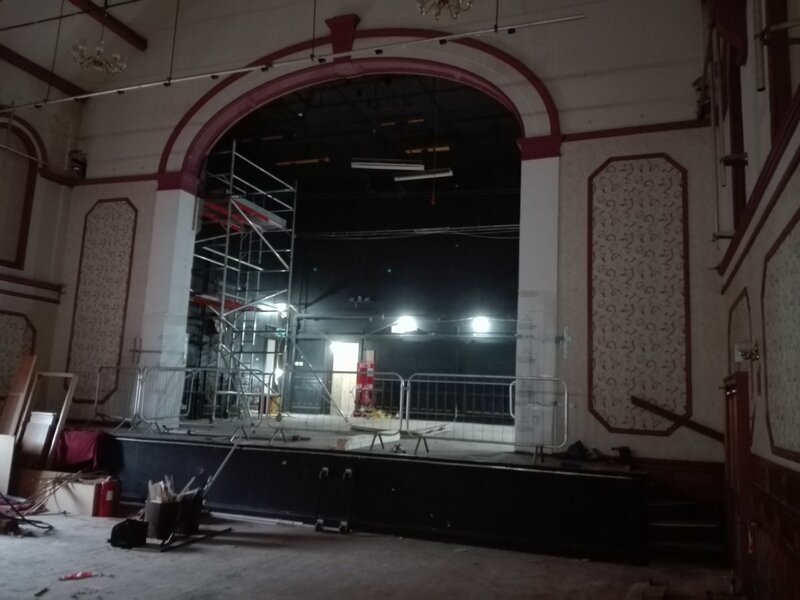 Work to transform Tamworth Assembly Rooms into a modern theatre fit for 21st century audiences is progressing well as the historic building’s interior is cleared to make way for a new design and layout. Many noticeable changes have taken place since the official appointment of principle contractors Novus Property Solutions at the end of last year, who have been busy removing all fixtures and fittings inside the Corporation Street venue. 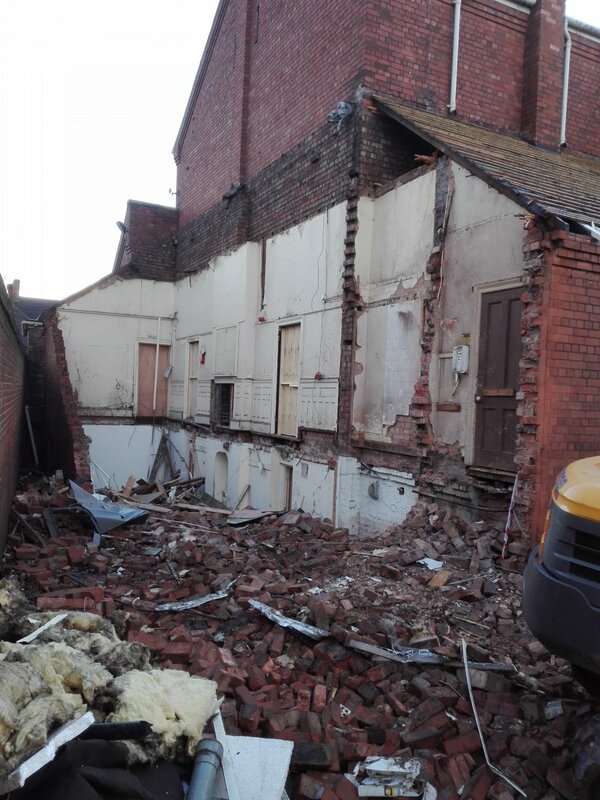 Internal features such as the bar, box office, tech box and auditorium seating have all been ripped out and the dressing rooms block at the back of the building has been completely demolished, ready for the new extension to be built. The next phase of the development will see scaffolding being erected around the building while a 12-strong on-site team remove and replace the roof. The £3.38m building contract to refurbish, extend and modernise Tamworth Assembly Rooms is part of a £4.8m makeover to preserve and enhance the 128-year-old theatre. Novus Property Solutions is working as part of a project team made up of architects, engineers, quantity surveyors and a project manager. Their task includes the creation of a café bar and exhibition space, a new box office, glazed double doors at the front and a brand new glass extension on the side of the building, which will be used as a studio space. Accessibility will be enhanced with a new access ramp outside and an improved layout throughout and the current tiered seating will be replaced with new state-of-the-art retractable seating to create a contemporary and flexible theatre space. 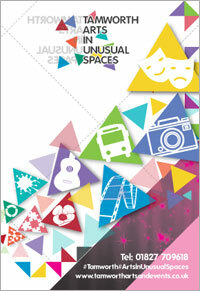 Back stage areas will be improved for performers and the building will be decorated throughout. Although the theatre is being significantly refurbished and updated, its ornate historic features will be conserved. 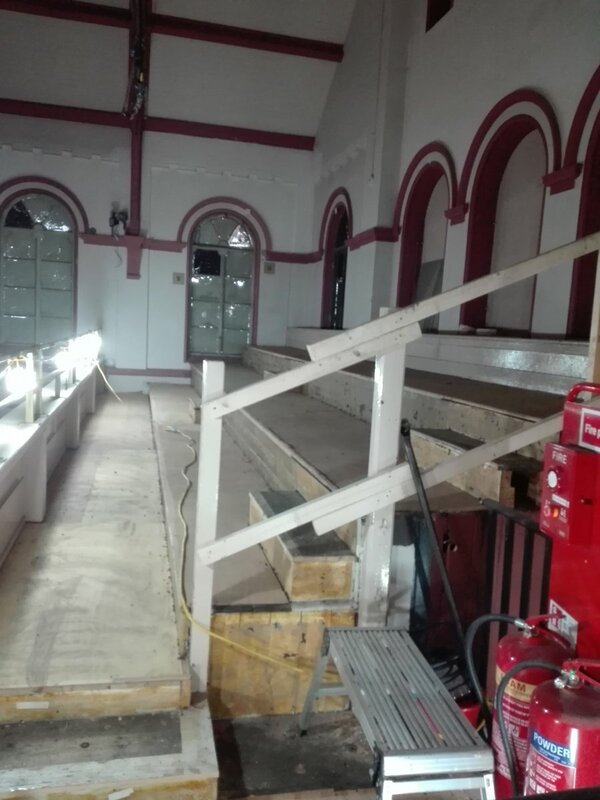 Cllr Steve Claymore, Tamworth Borough Council’s Cabinet member for Regeneration, said: “It’s now full steam ahead on the Assembly Rooms refurbishment and people will definitely start to notice some of the changes taking place. Inside, the building looks completely different after being cleared out ready for its complete redesign. 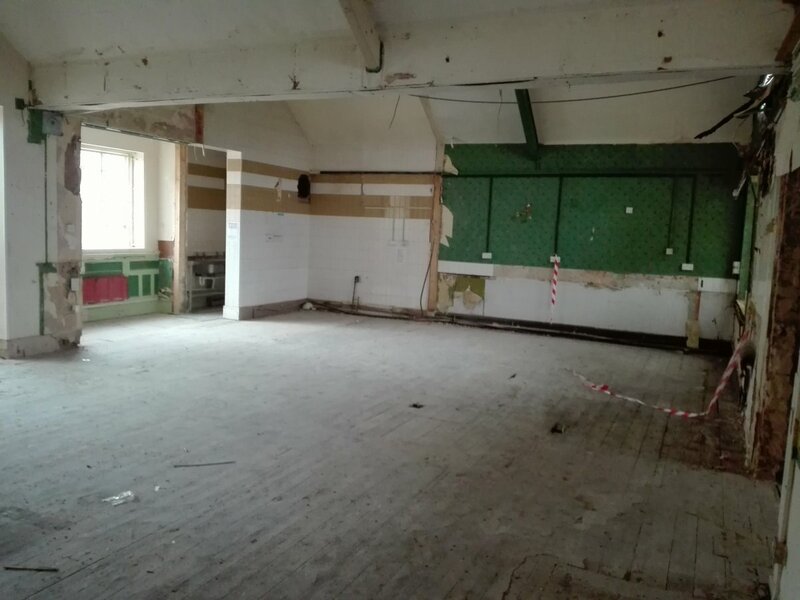 The Assembly Rooms refurbishment is part of the wider Enterprise Quarter project, which is a joint initiative between Tamworth Borough Council and Staffordshire County Council. The overall £6.1million scheme includes the creation of Tamworth Enterprise Centre, a new restaurant in the Carnegie Centre and the development of new ‘public realm’ open space. 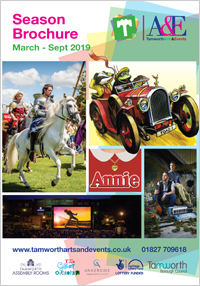 It is being funded by the Staffordshire and Stoke on Trent LEP’s Single Local Growth Fund (£2.95m), the Heritage Lottery Fund (£903,400), Arts Council England (£365,000) and the remainder from Tamworth Borough Council. The construction phase is expected to take around 14 months and will be followed by further internal and technical work. If all goes to plan, the theatre should reopen during 2019, but further updates will be issued as the project progresses. Other members of the project team include Brownhill Hayward Brown Architects, who have worked on the designs for the landmark building, Keelagher Okey Klein quantity surveyors, Cundall structural engineers and mechanical and electrical engineers BWB Consulting. The whole project is being managed by Rider Levett Bucknall UK.